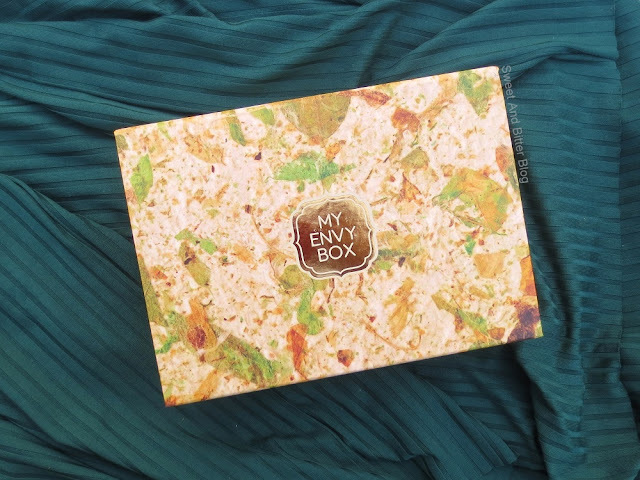 This November, My Envy Box created a box with handmade products. 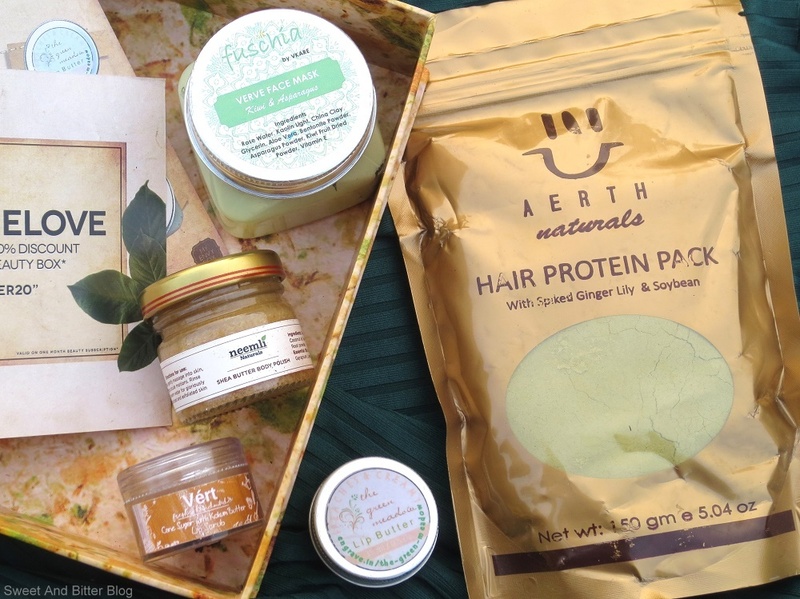 Neither the box has a large number of products, nor it has high-end brands, but it does have simple products handmade by small brands. These labels are tough to source. Let's see which products made into the box. 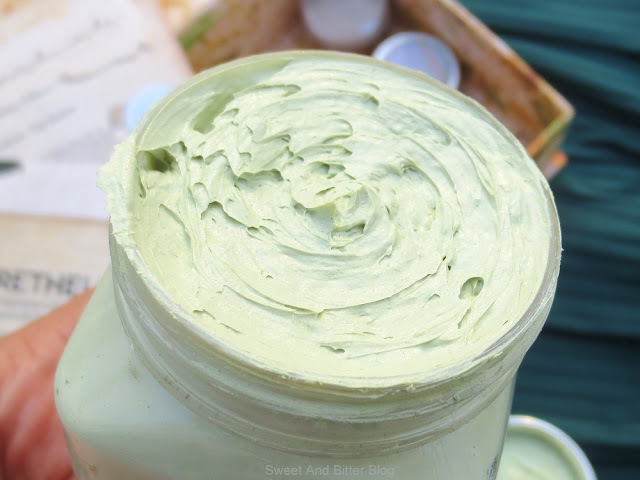 Vert Lip Scrub (Rs 450 for 10gm): Possibly the best lip scrub yet and almost as good as Lush. I loved the fragrance, the texture, and the effects. They did the whole thing correctly. Fuschia Verve Face Pack Kiwi and Asparagus (Rs 450 for 100gm): This ready to use face mask has a fluffy airy texture. I used it last night and liked it. It is easy to use, washes off easily and leaves behind cleansed supple skin. It is free of SLS, parabens, phthalates, and mineral oil, so, its a win. 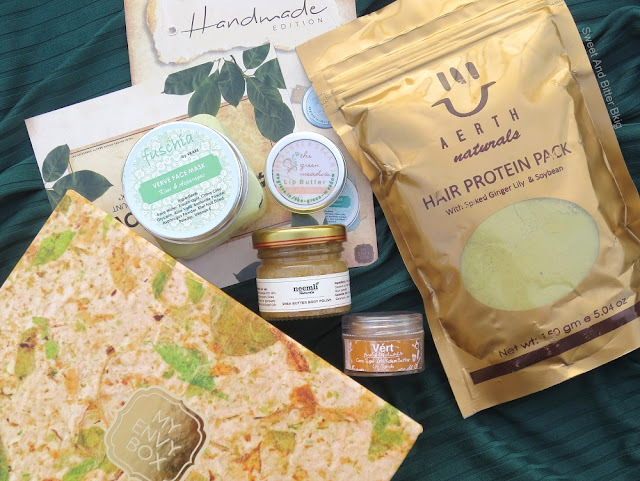 Aerth Hair Protein Pack (Rs 275 for 150gm): A vegan hair pack with ingredients that are great for hair like sesame, fenugreek, and curry leaves. It also contains spiked ginger lily. Overall: All the brands here are not commonly available, nor they are heard of. 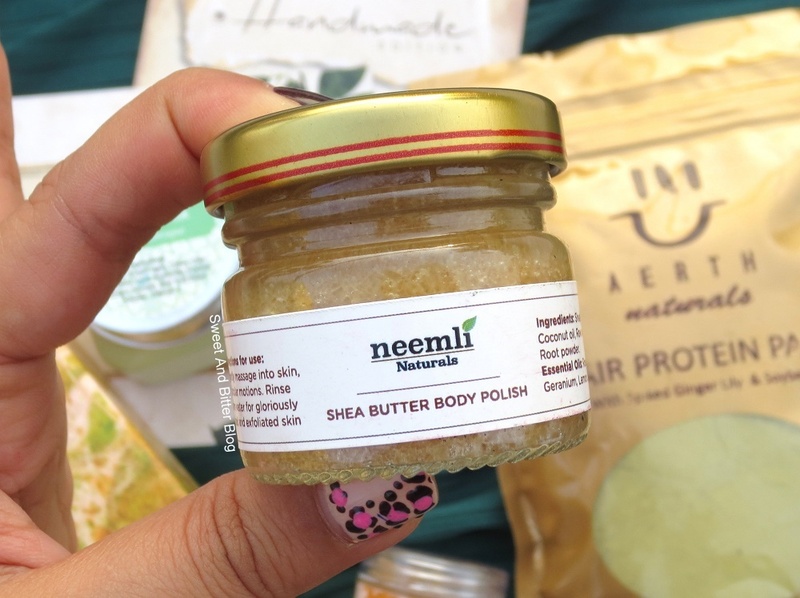 The products I have used so far turned out to be good like Fuschia Face Mask, Neemli Body Scrub, and Vert Lip Scrub. Unfortunately, the price is high so, I might not repurchase. I am glad that I got to know about these brands and use their products. *Box sent by brand in exchange for my honest views.